SHARDA Electronics & Co. is located in Sangli, a developing city in Western Maharashtra, India. SHARDA is the leading name in the capacitor world since 1989.SHARDA Electronics & Co. is manufacturing electrical products like Capacitors, Harmonic Filters, APFC Capacitors Panels with skilled experienced hands for high quality performance and high customer satisfaction. SHARDA is an ISO 9001:2015 certified company for its product & company quality policy. We are technocrats with more than 25 years of experience in the manufacturing of Power Capacitors & Reactive Power Compensation equipment. These Capacitors comply with major international standards and are manufactured at our ISO: 9001-2015 ‘Computer Aided Design’ certified facility in Sangli (India), to produce world class electrical products like Capacitors, Harmonic Filters, APFC Capacitors Panels. Our testing infrastructure ensures every product is extensively life-tested, to guarantee extreme levels of reliability, safety, and life expectancy. SHARDA Electronics & Co. Manufactures Hi-Tech designed electrical equipment like Capacitors, Harmonics Filter, APFC Panel, Reactor, Electrical Distribution Panel with advanced manufacturing capabilities. 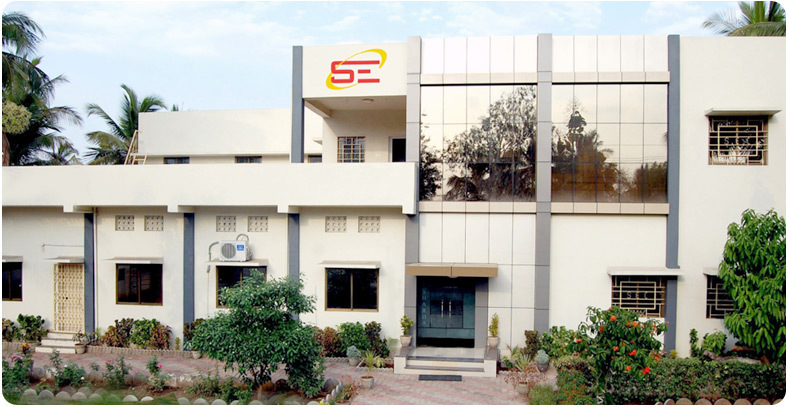 We have well established factory & full-fledged testing laboratory. We are able to undertake mass production by our new advanced Manufacturing tools adequate raw material, skilled and experienced persons etc. Our products conform to IS, IEC & IEEE specifications. We are continually conducting R&D in manufacturing process to save energy which in turn earns energy in this power deficit country. We have approvals of ERDA Vadodara, various Electrical utilities, L&T, Reliance, Oil & Natural Gas co. India, CGL, Coal India, etc. and major project consultants in India. We have successfully executed the orders of valued Clients from abroad like Ghana, Uganda, Senegal, Jordan, Dubai, Vietnam, South Africa, Germany, Poland, Mexico, etc. and also from various state electricity companies, public sector units, Large / Medium scale private companies within India etc. • Better Quality Products with Highly Competitive Prices. • Fast Deliveries, with Minimum Lead Time. We look forward to receiving your enquiries and Purchase Orders for the above range of Capacitors and services that we offer. We also offer Tailor- made Products. We guarantee 100% Satisfaction.